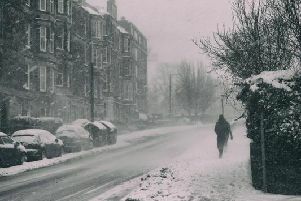 The weather in Sheffield is set to be wintry today, as forecasters predict cloud, freezing fog, icy conditions and below freezing temperatures. A Met Office yellow weather warning for ice and fog is in place for Sheffield until 11am today. The Met Office said: “A very cold night is expected across England with areas of freezing fog forming and very poor visibility in places, perhaps below 100 m.
A second yellow warning for snow and ice is then in place from 1pm today (31 Jan) until 12pm on Friday (1 Feb). This morning will see freezing fog and overcast conditions, with the temperature of -4C only climbing slightly to -1C by 12pm. This afternoon will continue to be overcast and cold, with a maximum temperature of 0C throughout the afternoon. This evening will become quickly dark, but remain dry, with the temperature remaining at 0C throughout the evening and overnight. Tomorrow will remain cool with overcast and icy conditions. Light snow is set to hit throughout most of the day, alongside sleet showers. 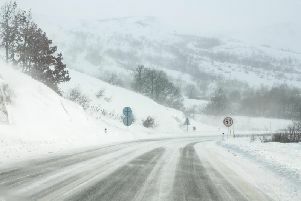 Maximum temperature of 3C and a minimum temperature of -1C.